My passion for the States is well known, as well as the passion for food and what is “local” in every town I visit. This is why, when planning the trip to California, to Los Angeles, I decided to go off the beaten path and look for something special. 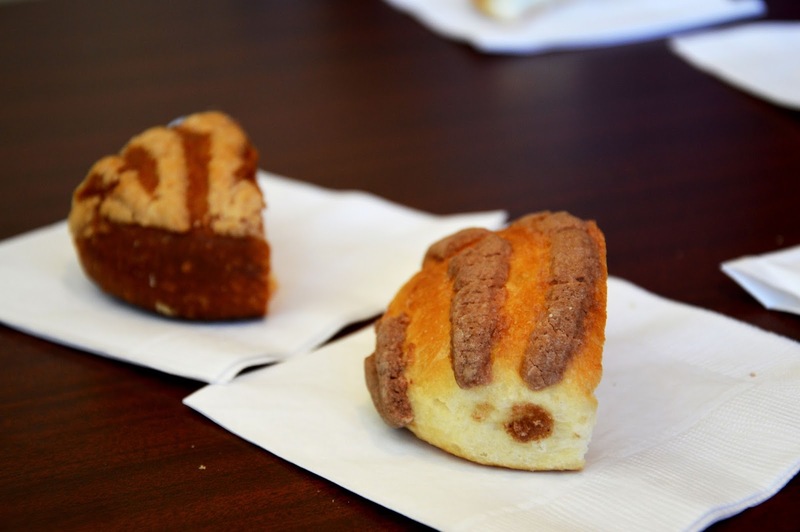 It ‘s true that many people, before I left, told me that 3 days in Los Angeles are more than enough, but since I have to experience myself and I always have to do something different than usual, I started looking for some food-tour that would allow me to learn about the culinary habits of LA. In this way, I came across the site of two ladies in Los Angeles with a strong Italian origin: Diane and Lisa Scalia and their agency Melting Pot Food Tours. The enthusiasm with which Lisa replied to my email, the kindness and attention with wich she contact me a few days before the arrival and also the day I arrived in town, literally fascinated me. To tell the truth, I went with high expectations and I was not disappointed at all! 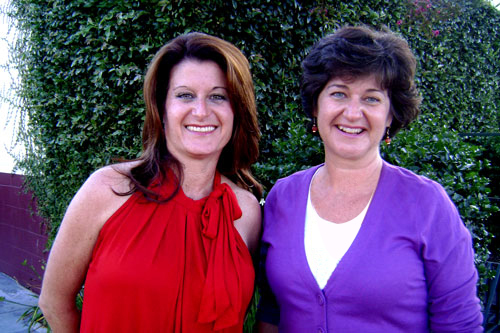 The Melting Pot Food Tours born thanks to the passion of these two sisters; a passion for food and for their city. 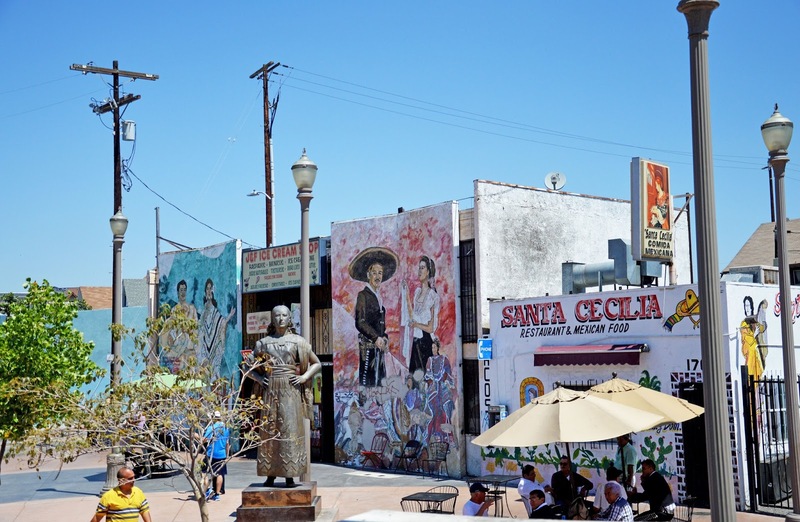 Los Angeles is a multiethnic and multicultural city and this diversity is also found naturally in food and restaurants. The tours that are offered are different from each other but touch all aspects of this great metropolis: the Farmer’s Market, which is increasingly besieged because it is definitely seen as a place to eat and buy genuine products, the Latin Quarter, that no doubt reflects the origins of the City of Angels; and again Pasadena, an old part of the city but very active and full of restaurants and cafes where you can taste different foods. 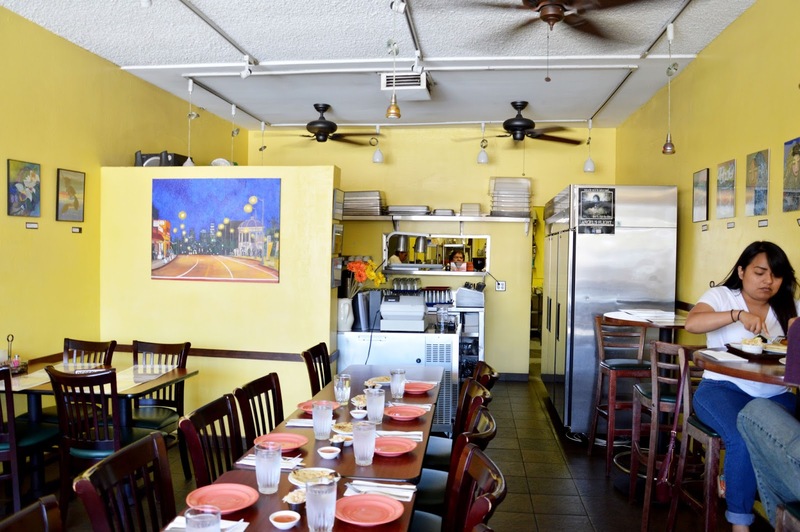 Lisa and Diane offered to choose among three tours and I went for the East LA Latin Flavours Tour to discover Latin cuisine that much influences the spirit and soul of Los Angeles and to find an area of ​​the city that few tourists have the pleasure to visit. Right there I realized that the sentence heard from many friends before departure “Three days in Los Angeles is more than enough” is anything but true. Believe me, in Los Angeles there is plenty to see; just rely on people who well know the city; competent, prepared people that not only make you go around the VIP villas (ok … we’ll talk about that, I fall in the trap too, of course!) is the best way to discover what is true, genuine and real. Our guide on this tour is Nick, a classmate of Lisa, a sports journalist and PR expert, passionate about this project contacted the two sisters to offer himself as a guide. Through his explanation you understand how well he knows this area of ​​the city and how he is linked to the traditions and Latin cuisine from around here. We are a pretty diverse group: a young girl, a mother with her two grown up children [one of them celebrating the birthday that day! ], a trio of friends and us. The atmosphere is friendly and relaxed; all are from LA but us and it’s nice to discover how even the people here love to be a tourist in their own city. As we walk through the streets rather busy around the Metro station “Indiana,” Nick tells how here once there were only fields and vineyards and how the houses, still small and simple, are the same as 50 years ago at least. Here there are no skyscrapers or large shopping centers; it almost seems to be in a country town instead of in a huge metropolis like Los Angeles! 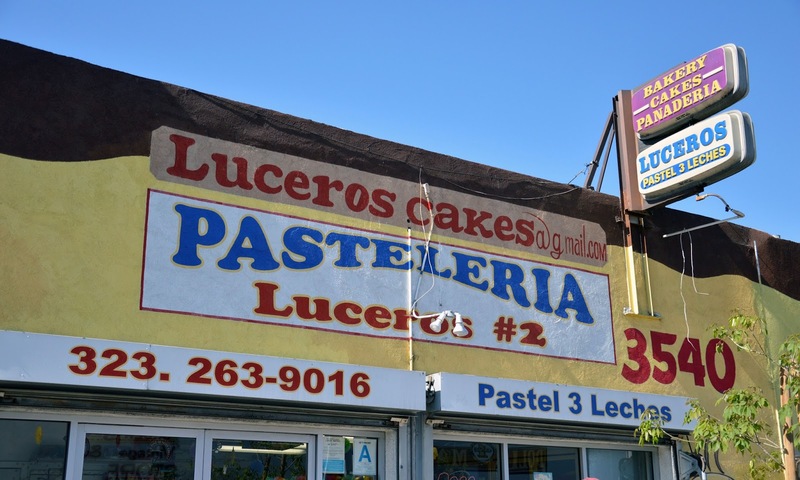 We first visit Lucero’s pastry and we taste the tres leches cake. Throughout the tour there are food tastings of typical dishes … better to be prepared because the portions are more than generous! The cake is soft and moist at the right point, not too sweet; I admit that I would have expected something very sweet instead; this is a really great start. Moving from place to place I reflect on the fact that, most likely, finding myself here on my own, it wouldn’t be so spontaneous to enter the premises Nick is leading us in. Perhaps because they are not flashy or because those places are not advertising that much outside the delicacies that are served inside. 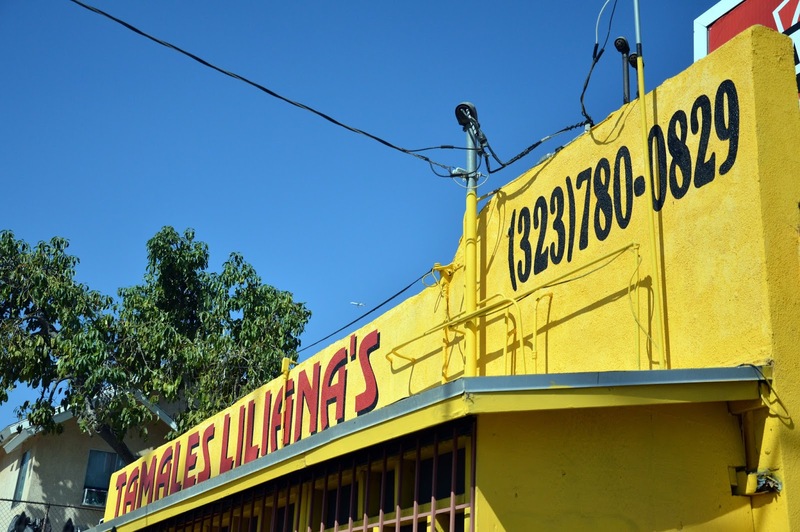 Liliana’s Tamales, for example, is a low-rise building and almost anonymous, except for the beautiful yellow color of the facade. Once inside, though, when I realize that at 10 o’clock in the morning the place is already full of ppeople eating soups and tamales, I realize that, as Nick explains, is the best restaurant to eat tamales in East LA! We too taste this delicacy. 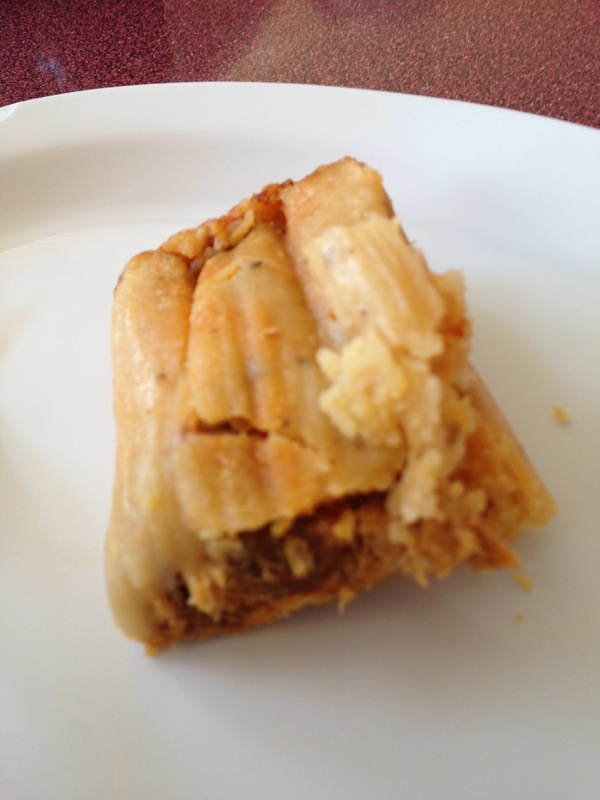 It is the first time I eat tamales and I like them a lot. For the ones not knowing [and I was among those before coming to Liliana’s] the tamales are done with the outer leaves of corn, stuffed with meat and vegetables. 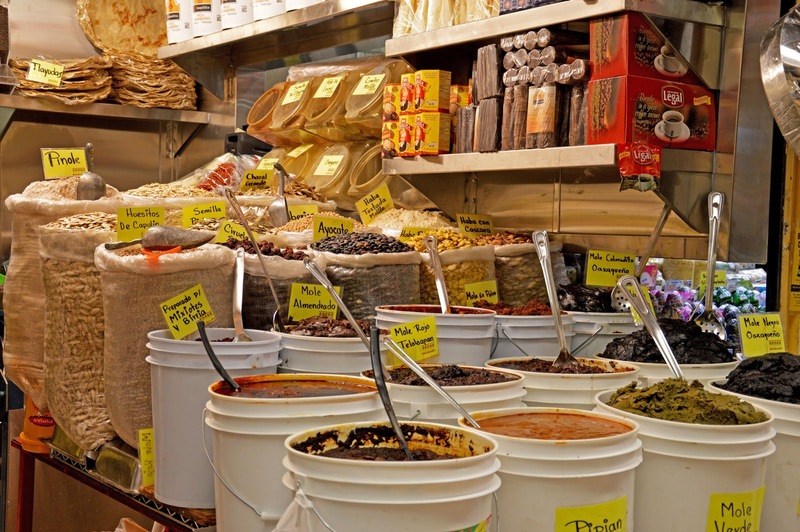 After the first two stages we head into what seems to me “Mexico in Los Angeles.” I’ve never been to Mexico before, but as soon as I step inside El Mercado I felt like transported into another place and in the middle of another culture. The colors and smells, the language and the faces of the people in every way show me what I could find in Mexico City rather than in Puebla. 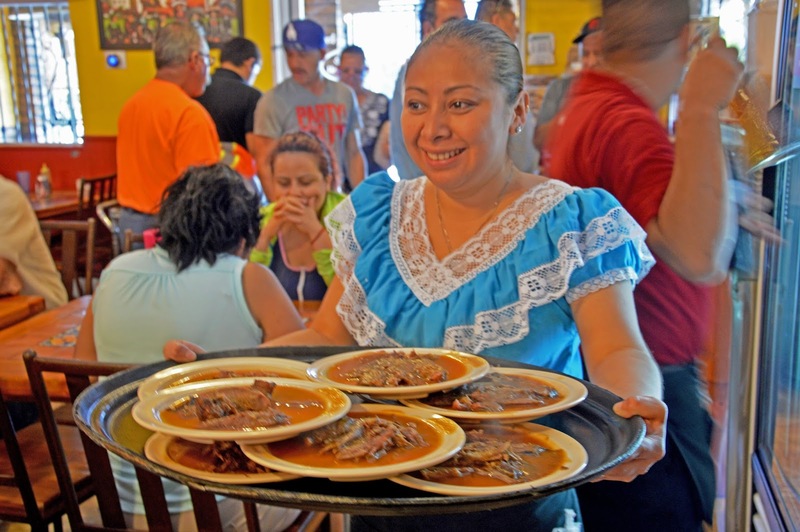 Here in fact, the products come directly from Mexico and after freshened with a raspado de fruta [I taste the lime, beautiful fresh and thirst-quenching], we prepare to try another Mexican specialty: the Mole, a sauce made of peppers that can be more or less spicy and be flavored in different ways. 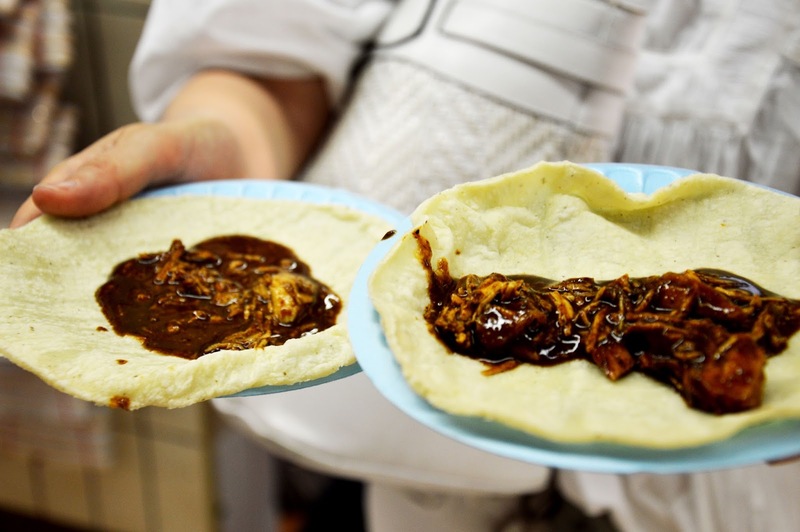 We taste it on a tortilla with chicken meat. We leave the market in the heat of late morning and continue our walk until the tortilla factory La Gloria. 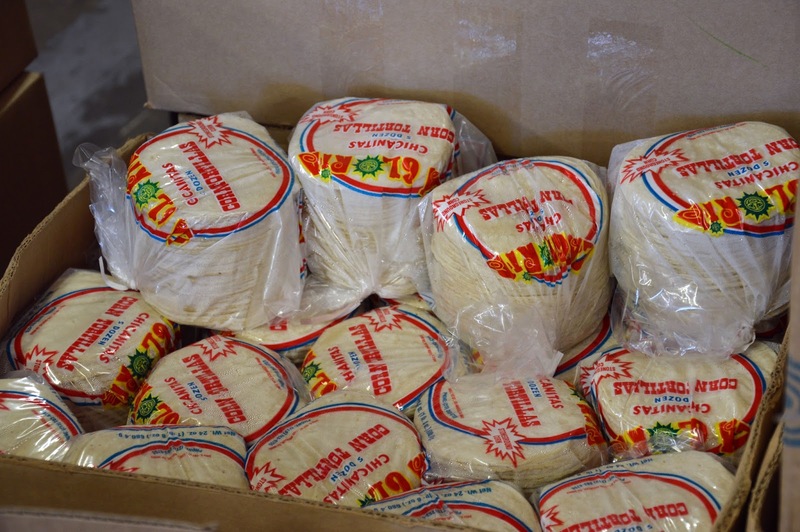 Here they produce thousands of tortillas a day and sell for 1 $ 28 the three dozen. The community here supports local producers which is why you do not see around popular fast food as any other district of the city and throughout the United States. After tasting a super guacamole and seeing tortillas shoot out from the machines at a high speed, we reach the metro station. The tour continues in another area of LA, a couple of metro stops away. The chill of the subway carriages there makes me want to go out again in the sunshine. Here we are in Mariachi Plaza. Right here you can still breathe the air of the Latin city. 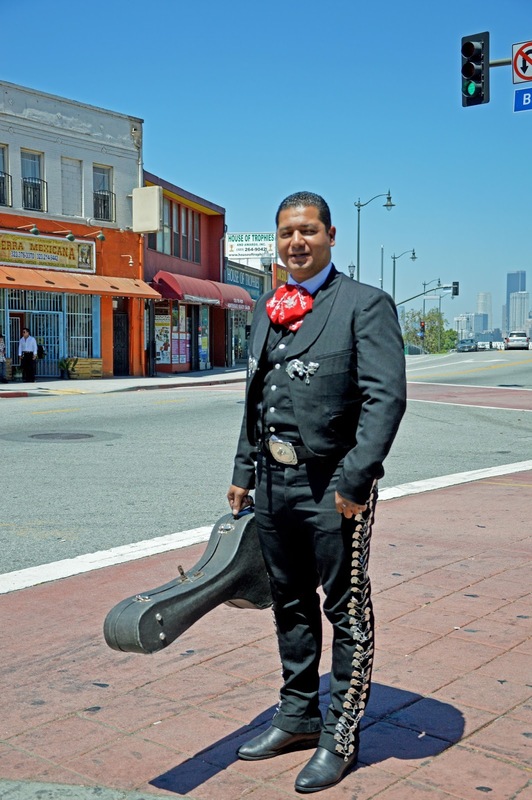 And when you come across the street in a real Mariachi man you can be really impressed! This area is very characteristic, starting with the little square just outside the metro station: local Mexican restaurants, shops with clothes and accessories for mariachi and men sitting under the trees in the shade chatting or playing games. And this relaxed atmosphere of Latin America is what I like to experience during holidays, not the frantic and stressful sprawling metropolis. Nick here has a nice surprise for us: we go to Birreria Don Boni where we are served tortillas, meat goat stew, fresh coriander, chopped onion and lime and we learn how to make our tortillas and enjoy it all sitting together at the table. It is 11 a.m. but the place is already very crowded; even here there are people eating at any time. In the next stop, at “Un Solo Sol“, we taste a small tortilla stuffed with mozzarella and tomato. Delicate and very tasty, it seems rather a small snack, but at this point, after all we have already eaten, we begin to meditate to skip dinner … these dishes are delicious and with a taste here and there we can fill up our stomach pretty quick! 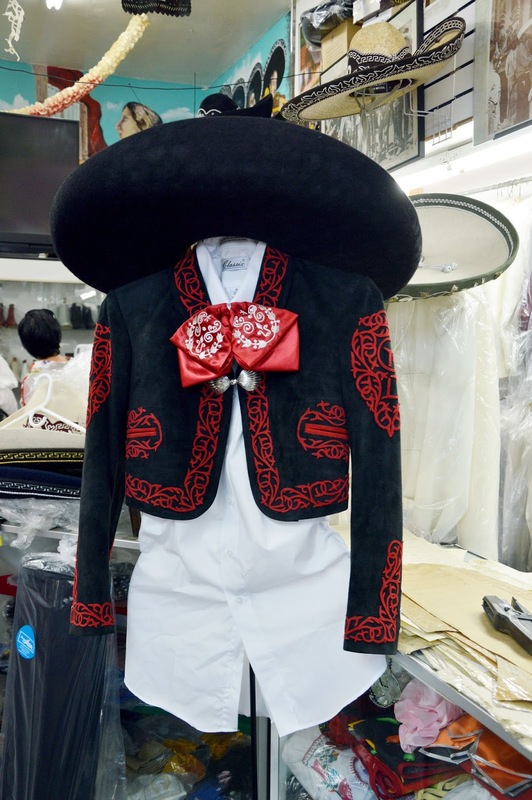 We continue to the last stop of the tour, but first we are attracted by a special shop, a tailoring shop for Mariachi, Boyle Heights Tailor. 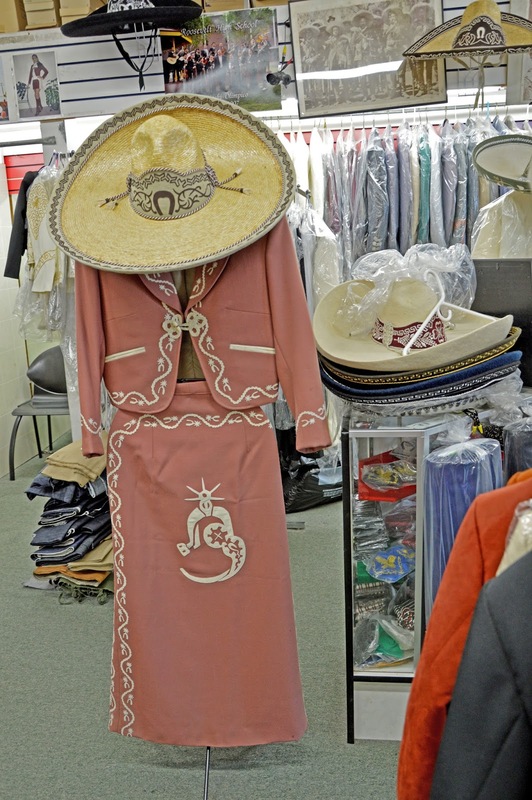 This tailoring, managed by the man everyone calls “el maestro” from 1984, is one of the best-known here at Mariachi Plaza, especially for its “policy” for sale; as you can well imagine the mariachis early in their career, not yet known , do not have an unlimited supply of money and a very good suit quite expensive; this is when Mr. Tello, the owner, prepares a dress for the mariachi and sells it in installments, so that everyone can have a dress of incomparable beauty and they can break through in their careers. The owner, with a very shy smile, after having seen us browse through clothes hanging, tells us to follow him in the back of the shop where other gentlemen cut, sew and ironed clothes under his careful supervision. 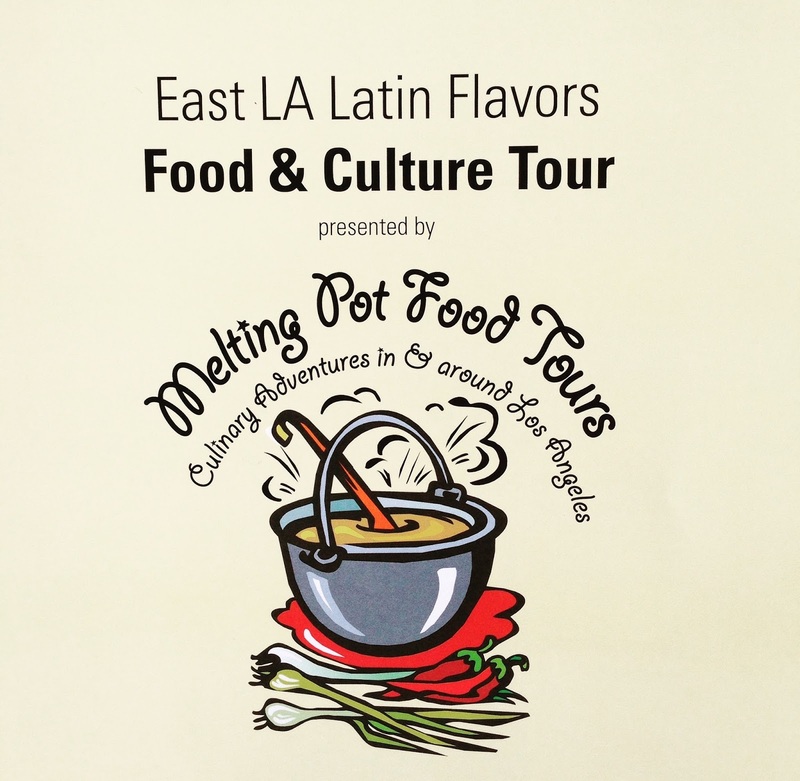 This is a part of the tour that makes things taste far more “real” and more traditional yet; this, despite not being a ‘food’ part makes us get more in touch with the soul of Latin Los Angeles. The tour ends with a cold chocolate drink and a cake, even this one not too sweet, at Primera Taza, a bar taken over by a university professor who tells how his students often stop here for a coffee and a chat. Also here we find a glimpse of daily life that reflects the real culture of California, the most authentic one, linked to the traditions of the first inhabitants of the City of Angels. To see some more pictures of the tour, peek Viaggi & Delizie Facebook page. I would like to thank Lisa and Diana Scalise for the wonderful opportunity they offered us and for making us understanding that the passion for their city and the willingness to show it to local and foreigners can do great things. great fun tour, and i think i like the idea of a cold chocolate and cake. hahahaha, great post allround. Thank you! It has been such a yummy tour!! such a very interesting post about LA! My cousins LOVE LA too, they said it feels like they didn't leave Manila – the people, foods, ambiance, everything. Oh I think I will survive too! I love those tailored suits! Pretty historically classy. Also, my mouth watered with the sound of tortilla stuffed with mozzarella! The visit at the tailor was a real gem!